Microsoft's operating systems have dozens of customization options, but in the latest versions it is getting harder each time to access these options. 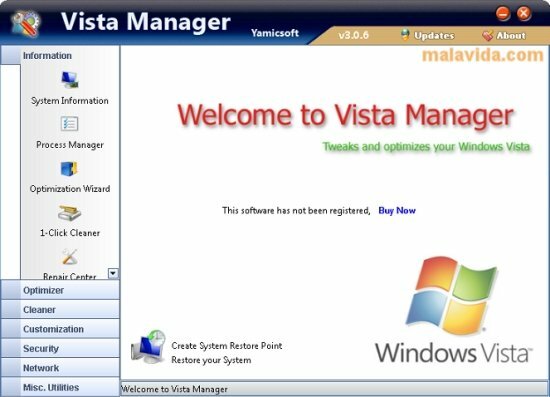 If you're looking for an application that gives you quick and direct access to the optimization and configuration possibilities of Windows Vista, try out Vista Manager. 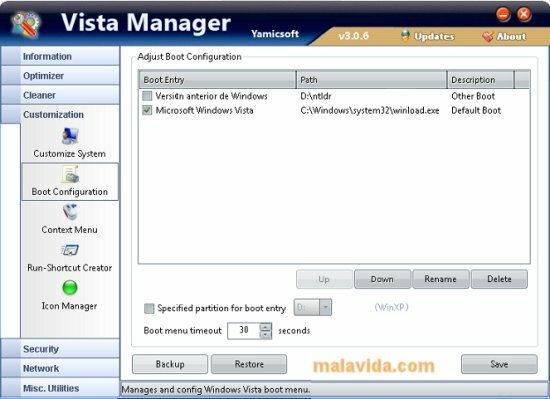 Vista Manager is a powerful and complete configuration manager for Windows Vista that, in a few simple steps, greatly improves your computer's performance. To do so, it offers more than 40 utilities, divided in specific categories, that will allow you to modify your operating system, thus managing to make it more stable, quicker and secure. - Optimizer. Improves the systems startup and shutdown speed. - Security. 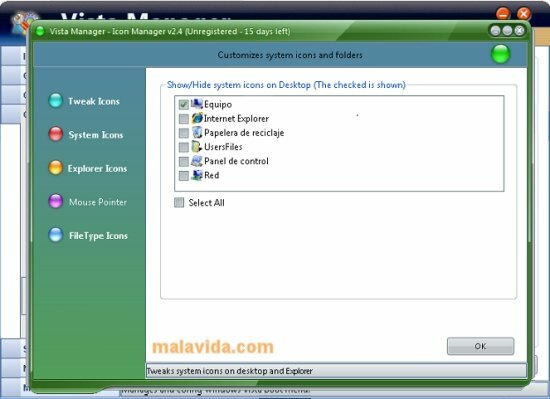 Enable or restrict options that can be dangerous for your computer's security. - Network. Optimize your Internet connection speed. 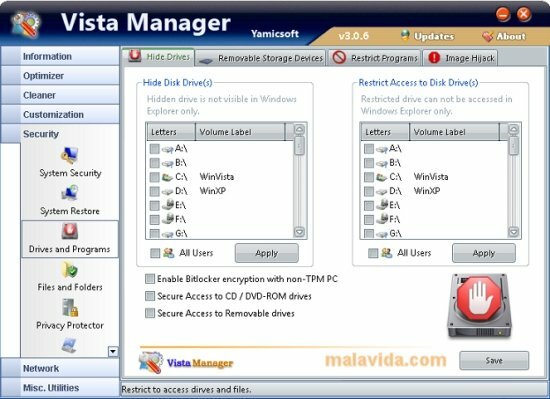 Download Vista Manager and discover the possibilities that it offers you to customize and improve Windows Vista. Only compatible with Windows Vista. The trial version can be used for 15 days.